Commercial stain removal products can be expensive and often are no more effective than the vinegar in your kitchen cupboard. Vinegar is beneficial for washable fabrics, such as polyester, and is safer than chemical stain removal products or stain removers that contain harsh solvents. With the help of vinegar, you can remove nearly any stain from your polyester garment, including stubborn stains. such as fruit juice, coffee, tea or grass stains. Don't worry about the vinegar smell, as it will dissipate soon. 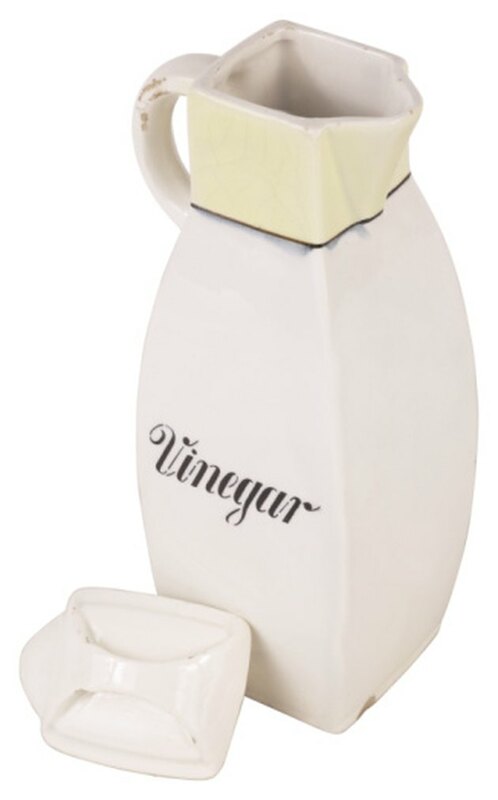 Make a vinegar stain pre-treatment solution of 1/3 white vinegar, 1/3 water and 1/3 liquid dish detergent or heavy duty liquid laundry detergent. Mix the ingredients in a plastic, flip-top bottle. Squeeze the vinegar solution on the stain and rub the solution into the stain with your fingers. Allow the solution to penetrate the stain for 5 to 10 minutes. Rinse the vinegar solution from the polyester garment with lukewarm water. Repeat if the stain is still visible. If the stain is gone, wash and dry the garment according to the directions on the garment's care tag. Soak large stains or badly stained polyester garments in a large container, such as a bucket, sink or basin. Place a gallon of lukewarm water in the container. Add 1/4 to 1/2 cup of white vinegar and about 1/4 cup of liquid dish soap to the water. Mix lightly to combine the ingredients. Soak your polyester garment for 10 to 15 minutes, then rinse thoroughly. Wash and dry your garment according to the recommendations on the label.